Capto is an easy-to-use app that takes capturing, recording, video and image editing to the next level. With an intelligent file manager and quick sharing options, Capto is perfect for teachers, students, creative professionals and anyone in need of a powerful, yet easy-to-use screen capture tool. Capture your screen in all its high-definition glory along with clear audio! By doing so at a smooth 60 FPS, you get sharp and clear recordings that look great on any device. Make professional tutorial videos, amazing reaction videos and informative how-to videos with the new video recording feature of Capto. You may also use external recording devices for added flexibility. Make your screen recordings look professional. Capto's powerful video editing suite gives you all the tools necessary to perfect your screen recordings, post-capture. Capto's options allow for effortless capturing of screenshots in different ways. Capture fullscreen or just select parts as required. You can also save a whole webpage in one click! 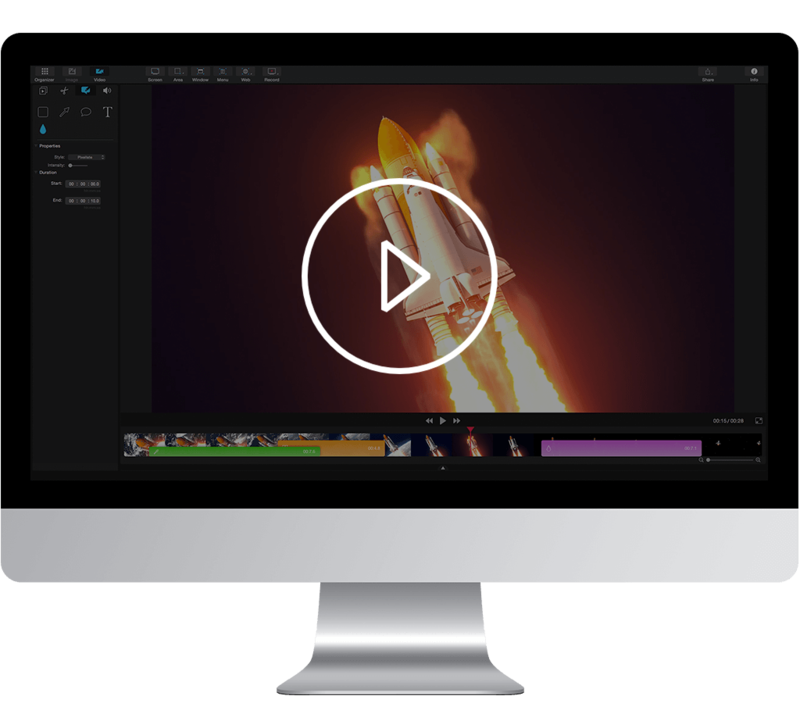 Expand and build upon captured screenshots with Capto's image editing features. Annotate, correct, or adjust the properties of the image and make them informative and easy to comprehend. Capto allows you to individually edit the audio coming from your system and from the microphone, thus adding impact and perfection to the quality of output. Video record your iPhone or iPad's screen by connecting it to a Mac running Capto. Capture, add a voiceover and edit them to instantly create tutorials. Capto has the best file management structure for quick searches. Your screen captures and recordings are placed in easy-to-spot folders by default. You can also add custom rules to place captures in folders of your choice. Upload or share screenshots and screen recordings to Facebook, Tumblr, Dropbox, Evernote, YouTube and more without leaving the app. If you have your own FTP/SFTP setup, upload them in a click! Capto is fully localized and can be used in Spanish, French, and German.